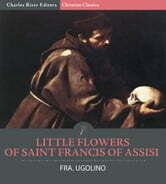 *Includes Table of ContentsLittle Flowers of Saint Francis of Assisi is a beautiful biography of Saint Francis. Authored anonymously, its authorship has been attributed to Fra. Ugolino da Santa Maria. The Art of Dying Well is one of his most famous devotional works. A table of contents is included to navigate the many chapters.